Yes. Water. It seems innocent enough. We drink it. We shower in it. We bathe in it. Ah, but that is where the problems start. Soaking. You can waste a lot of good time soaking in a bath and it can lead to things like soaking in a hot tub or even swimming for pleasure. When things really get bad is when you start discovering the other adventures water can provide. Snorkeling (which can lead to believing you're a fish and leaping about in the water). River floating (which can lead to socializing and goofing off). Kayaking (which can lead to lengthy adventures at sea). Those are just a few of the ways water can steal away hours and even days of productive writing time. My advice to you? Avoid it. Even showering could be considered a gateway activity. Sure, you might drive away friends and family with the stench if you don’t shower, but that will give you even more time to yourself for writing. Win all around. Yeah. I know. Sounds like such a serious title. To be honest, my life has had way too much serious lately, so I’m hoping to keep this light. For that, you need kittehs. A death in the family (not getting deep into this as it would go against the keeping it light plan). This thing I’m waiting on (don’t want to jinx it by talking about it too much). This thing my husband is waiting on (yeah, don’t want to jinx that either). Some other stuff (no, I don’t think that’s too vague). Preparing our house to put on the market so that we can move into the city. This one I’ll talk about. There’s little good about getting a house ready to sell. Inevitably, the moment you decide to sell, you start noticing all the things that are wrong with the house and property that fell off the radar into the selective blindness we all get when we just don't have enough time. The lawn needs some TLC, the carpet is actually heinously ugly, the walls aren’t much better, the barn needs cleaning up, and you have way too much junk lying around. To start things rolling, you hire someone for the yard work, which seems like a good plan. Then they get sick and someone in their family dies and you can’t really be mad about it, right? You’ve been sick a few times lately and you’ve had a recent death in the family. You should totally understand. Still, you’re secretly somewhat mad about it because the work isn’t getting done and, after all that time spent searching your soul and reconciling with selling your house, you want to get it done NOW. Yes. You decide to paint the interior. No big. You start painting the walls in one room, and this is when you realize not only how much you hated the wall color, but that the ceiling is an awful shade of pale pinkish-gray and the dark wood trim looks like hell. Now you have to paint the ceilings and the trim too. What started as a one or two weekend project is now a several month long arduous task. Not to mention, you still have to find time for work and play (yes, play is necessary to keep you from turning into a bug-eyed spastic lunatic). If you haven’t caught on yet, this is one of those things where the more you do, the more you feel like you need to do. But that’s not why we’re here. We’re here because we like to talk about spiders. Well, I like to talk about them. I live in the Pacific Northwest. This is an amazing place. It’s beautiful, a wee bit damp, and full of critters, critters that are largely non-venomous/poisonous. I feel rather safe wrangling a random snake or moving spiders out of the house. That isn’t to say that there aren’t spiders I prefer not to tangle with, but the likelihood of encountering something that can do serious damage or even threaten your life is slim. This always seemed a good thing to me until last week. I was in southern Oregon visiting family and I had a few small spider encounters. You know how I feel about these guys if you’ve been following my blog for long. If not, you can find out more in my post Talking with Spiders: The House Rules. As I’ve said before, jumping spiders are cute as hell and the one I found crawling along my pant leg was double-cute with sugar on top. He was tiny and would have been a perfect model for a jumping spider plush toy. I caught him on my hand, he was so small I couldn’t even feel it as he crawled along my fingers, and relocated him to a windowsill. When my husband poked a finger at him, he crouched back and held his front bits up in a valiant display of ferocity that made me giggle. Love those fuzzy little blokes. The next spider wasn’t a jumper. He was one of those black widow shaped ones that I express a less tolerant attitude toward in my earlier post about spiders. Still, I’m always trying to give everyone a fair chance so, recalling the jumping spider I’d moved the prior day, I caught this little critter up on my sleeve and moved it outside. It was then, as I dropped it off on the porch, that I realized it really did look an awful lot like a black widow. In fact, given that I was in southern Oregon, the odds seemed good that it could have been one. I guess that’s what happens when you get too used to feeling safe all the time. So there you have it. Life lessons from a spider wrangler and a few reasons not to sell your house. The first part of the Europe trip I was either jet-lagged and/or sick, a state that I think came through all too well in my post about London (Walking in my Protagonist’s Shoes). The second part of the trip I wasn’t in such bad shape. I was on the upside of the cold and, although I was heading into a sinus infection, I was a bit more coherent. That part of the trip we spent in Dublin. What’s not to like about Dublin? You go out sightseeing around town and it goes pretty much like this. Sing with me if you know it! A church and a pub and a church and a church and a pub and a pub and a pub. Proper Irish breakfast for the next morning. I don’t have any stories set in Ireland yet, but there was plenty of inspiration to be found, including some fantastic old castles and ruins. Books! Lots of books with lots of history woven into their dusty old pages. The best was the Book of Kells and its companions (of which I was not allowed to take pictures). This book is amazing both for the art and labor that went into its creation and for the efforts that went into keeping it safe (also, there is a great little animated movie that the book features in called The Secret of the Kells). [youtube http://www.youtube.com/watch?v=tMPhHTtKZ8Q] We also made it out to Knowth and Newgrange, two of the largest of many burial mounds originally constructed around 3200BC and around which there is still much mystery. Getting to walk inside Newgrange was truly an opportunity to walk into history (yeah, that sounds corny, but it’s so very true). To wrap up, I wanted to share a little clip of live music from one of the pubs in Dublin because you always wrap up at a pub. For a little more travel fun, you can visit these writer blogs answering the question: If you could travel anywhere, where would you go? As promised, I am posting some of my trip to London where my novel The Girl and the Clockwork Cat takes place. Since the setting for the novel is alternate history (steampunk Victorian London) modified for the purposes of the story many things don’t look the same as they did in my protagonist’s time and some things never looked the way they do in the novel. Still, getting a chance to walk down many of the same streets and see some of the places my protagonist would have seen was a magical experience. In spite of being jet-lagged and sick, I don't think we ever stopped walking. Walking the streets my protagonist walked in the novel also had the comforting effect of proving that none of the distances she covered were unreasonable. Since she makes her dubious living as a pickpocket, she doesn't have the means to pay for transportation much of the time. I did considerable research on the distances, but on paper, things don’t always work the same as they do in reality. Much of London’s history butts right up against the modern city, as you’ll see in many photos. In spite of this, you can still get a great feel for what the city looked like in Victorian times. And, because I write science fiction and fantasy, I felt it only appropriate to pay homage to Douglas Adams while I was in the area. Ever have that experience where you’re editing a manuscript and you come across a section that’s horribly written compared to the rest. After some thought you recall that you wrote that section when you were sick with a bad cold, sinus infection, flu or whatever. You make a vow to yourself as you slog through trying to fix it that you will never ever again let yourself write while sick. Only you know, deep down inside, that when that time comes you’ll try not to work and big guilt-wielding fists inside your mind will beat you up over the work that isn’t getting done until you give in and start writing. I’m at that point now, that sick point. In a valiant effort to mitigate damage, however, I am letting those guilt-wielding fists win in the form of a blog post because I have an easy one in the queue thanks to the fantastic Briana Vedsted who recently nominated me for the Liebster Blog Award. Thanks Briana! Accept the award, post the picture of the Liebster Award on the top of post, say who nominated you for the award, and list their blog site (see above). Nominate 11 other bloggers for the Liebster Award and list their blog sites. Ask the award winners 11 questions to answer when they accept their Liebster Award. Answer the questions left for me by the blogger who gave me the award. I love stacking things to the point that if you put a board game in front of me I would almost rather make sculptures out of the dice and game pieces than actually play the game. I love playing board games (Arkham Horror or Dominion anyone? ), almost as much as I love stacking the pieces. I also love video games. Single player RPGs mostly, though I can be talked into a good adventure game now and then. I don’t drink beer, but I have discovered a soft spot for good cider. I’m afraid of heights unless I’m in a cave. I love history, especially in the form of historical structures and artifacts. The true stories behind such things give me a world of ideas. I love to prompt conversation then sit back and listen (unless someone asks me about my writing, then I never shut up). My favorite instrument is the violin. I’m addicted to Burt’s Bees lip balm. Seriously. There are 2 by my bed, one in my truck, one in my purse, one on my desk, one by where I sit in the living room, one in my kayak emergency kit, and a few in a drawer in the kitchen in case I run out. I’m addicted to Science Fiction television to the point of throwing a Firefly screening party and loosing considerable sleep over the occasional Doctor Who marathon. I don’t sing in the shower, but I do sing in my truck (all the time). What is your favorite movie? The Fifth Element maybe, or Howl’s Moving Castle, or How to Train Your Dragon. Too many great movies to choose from really. What is your favorite book? Again, too many to choose from, but I think the Last Herald Mage trilogy would be one of the top picks (yeah, I cheated and picked a trilogy). Do you like sunset or sunrise better? Sunrise. It marks the start of a new day with tons of potential. Are you a cat person, or a dog person? Cats. Nothing against dogs, but I am very much a cat person. Have you ever eaten any wild game? Yes. It has happened. If you could change one thing about your life, what would it be? I would be in less pain all the time I suppose (too many injuries). Do you have someone in your life that is your best friend? Who is it? I’m fortunate to have many people in my life who I would call my best friends for varying reasons. I think different people play different roles in our lives so calling only one person a best friend is really rather misleading in a way. If I had to pick, I imagine my husband and my mom would top the list. Where would you like to go on vacation? Just got back from London (where I finally got to see in person many of the places I wrote about in The Girl and The Clockwork Cat and get ideas for use in books two and three) and Dublin (where I got to see places that may show up in future books). I would like to go to Japan or Malta next. Are you happy or sad when it rains? Depends on the day. Rain can be fun or depressing or indifferent depending on my mood that day. What is your favorite food? Popcorn. That’s a dietary staple, right? Do you have a hobby? What is it? I have many hobbies including kayaking, horseback riding, caving, dancing, iaido, and so on. Too many perhaps. 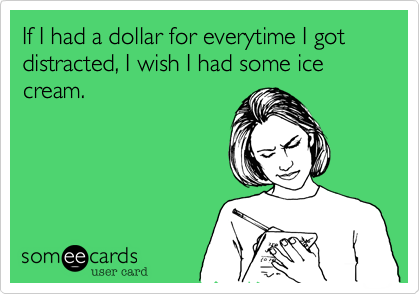 What’s one odd quirk or habit you have? Do you have any collections and what are they? When you get free time alone, how do you like to spend it? Do you prefer drama or comedy and what appeals to you about that preference? Beer or wine (or something else entirely)? What makes a party good? What do you typically do on vacation? My cat wants to know if you prefer sparkly toys or feather toys and why? Next week I'll take you with me (virtually of course) on my adventure traveling through many of the areas of London that played prominent roles in my novel The Girl and the Clockwork Cat complete with many photos. It’s getting hot in here so… ah, nevermind. Today I want to share a fun new experience I had in January. A good friend invited me to join her for a glass blowing class at Seattle Glassblowing Studio. This was something I’d never done before and as someone who believes strongly in experiencing as much as I can, both for my writing and for my own personal growth, I was happy to accept. and told him I rarely had a need to. He smiled and told me it was my lucky day, I should put my money away and buy myself a coffee later, which was very sweet, although I don’t drink coffee. At the end of the day, when we got on a bus to leave, I put $3.00 in because I didn’t have any change, but I figured I was still ahead. Although, I told him not to worry about it, the driver hunted down a quarter and sent it back to me with another passenger after I’d taken a seat. Not such bad people, as long as you’re on the bus and not trying to share the road with it. Anyway, on to the glass shop and glassblowing pictures. What similar adventures or experiences have you had that you would recommend to others? I sprint in after putting yet another coat of paint on the soon-to-be steampunk Nerf guns, my thoughts racing with all the things I need to get done before the Halloween party tomorrow. Setting up the final playlist is a critical item I can knock off the list easily enough (I believe this will be version 4.0). I rush up the stairs to my office to complete the task, sit down at the computer, and think, "It's been a while since I posted on my blog." For September, I finally did something that I’ve wanted to do for a while now. I attended my first Iaido seminar, the PNKF (Pacific Northwest Kendo Federation) 2012 Iaido Seminar & Tournament. This was an amazing experience. This particular seminar was special in that there were a number of visiting instructors from Japan there to teach the sessions. I learned so much from these instructors and, as a fun bonus, got to work on my Japanese language skills as well since they were all using translators. I was even talked into participating in the team portion of the tournament on the second day. At the end of the weekend I was worn out and my head was spinning with new information. Time extremely well spent. Since I don’t have any photos of this (beyond the lovely group photo above) I also thought I would share some pictures from our September caving trip. This wasn’t something new, but it's been a long time since I went on a good caving trip and we took someone along who was new to caving, so it’s close enough. Now back to the playlist and the painting. 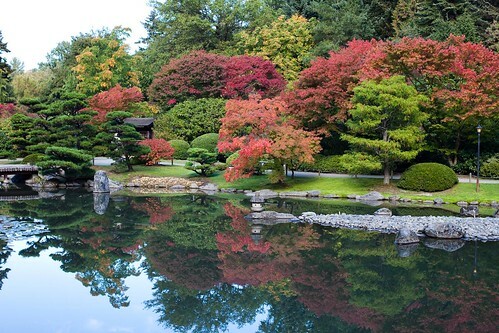 Fall arrives at the Japanese Garden in Washington Park Arboretum - photo by Dave Nakayama. Here it is. My favorite month of the year. I feel it's only right to post a quick blog in honor of its arrival. The leaves are changing, the weather is cooling, but the rain hasn't started yet, and there are as many opportunities to dress up and have fun as you're willing to take advantage of. Halloween is, without a doubt, my favorite holiday. It's a holiday that encourages creativity and imagination with far less of the familial angst and obligation that comes with some other holidays. Every year I line up more and more opportunities to dress up and have a blast. Just for fun, here are some photos from the last three years. Do you celebrate Halloween? What is your favorite month or holiday of the year?